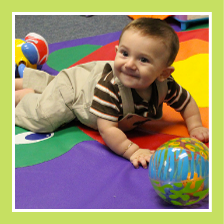 Cradles to Crayons was created to provide a center that offers an enriching early childhood education program, an atmosphere that encourages fun while learning and the flexibility that is needed for working parents. Because we are not a franchise and are not owned by a major corporation, we can provide the type of individual service that can change as your needs change. We know and understand how unpredictable life can be. After 18 years and two locations, we continue to follow the same foundation which has met the needs of 100's of families.